Scientists are very confused with the newly discovered galaxy, as it lacks any dark matter. In case you don’t know, dark matter is everywhere in every galaxy. It is just there. It does not emit any light or energy. 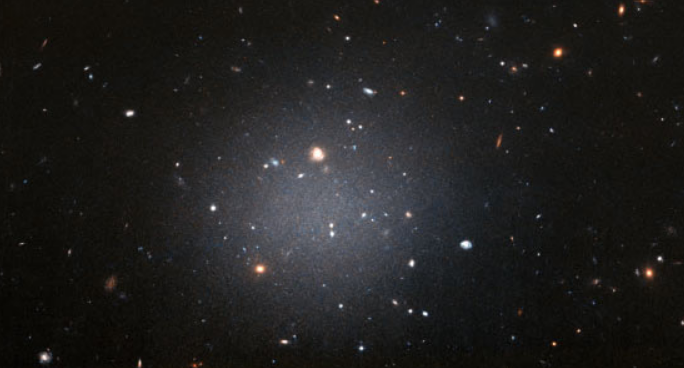 This Wednesday, scientists have discovered a galaxy named NGC 1052-DF2. Complex name aside, this galaxy made scientists scratch their heads when they realized it has no dark matter. “We didn’t expect that this could happen,” said Yale University astronomer Pieter van Dokkum, lead author of the research published in the journal Nature. Well, the simple fact that a galaxy like this has been discovered confirm the existence of dark matter. The galaxy is some 65 million light years from Earth, and is very, very sparse. “Dark matter is not something that galaxies can sort of swap in or out of, like it’s kind of an optional thing that galaxies sometimes have and sometimes don’t,” van Dokkum said. “We really thought that this is the essence of what a galaxy is, that galaxies are built from, initially, a bunch of dark matter and that all the stars and all the planets and everything else is just a little frost on top,” van Dokkum added. The scientists spotted NGC1052-DF2 using the Dragonfly Telephoto Array, a telescope in New Mexico. They do not know how it formed, but have some hypotheses, including the possibility that a cataclysm within NGC1052-DF2 swept away all its gas and dark matter or that a massive nearby galaxy played havoc with it. Be the first to comment on "Scientists found a distant galaxy without dark matter"